Meghan MacLaren has ended her impressive amateur career to turn professional ahead of the Omega Dubai Ladies Masters. The 22-year-old makes the transition after capping an outstanding amateur career with an historic 2016 that saw her gain the winning point at this year’s Curtis Cup, win a gold medal for England at the European Team Championships and claim victory at the Santander Golf Tour LETAS La Peñaza on the LET Access Series. 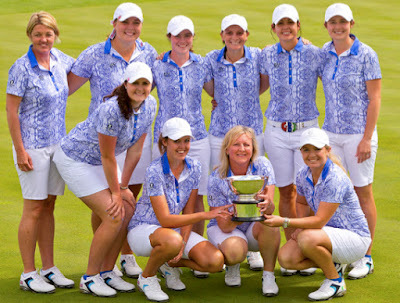 MacLaren contributed three points in Great Britain and Ireland’s Curtis Cup victory against the United States at Dun Laoghaire Golf Club in September, only the second time in 10 years that Great Britain and Ireland have won the prestigious match play tournament. She also helped England secure gold at the European Team Championships the first time since 1993. “This year has had some moments that I’ll never forget. I couldn’t have asked for a better ending to my amateur career, but hopefully it is only the beginning of things to come. Following Dubai, Meghan will set her sights on the final stage of the Ladies European Tour qualifying school in Morocco during December.